Yeah ... I"M BACK !! Please pardon me for not updating my blog for such a long time. I've been facing some personal problem here which makes me unable to cook and blog for a short while. Today, I'm going to share with all of you one of my 3 kids favorite food. 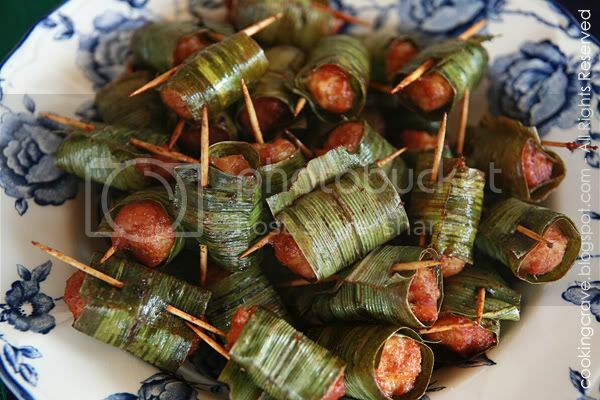 Actually we can just buy the ready made frozen pandan chicken from the market here in Malaysia. Just deep fry it whenever we want to eat it but I prefer to just make this myself. Cheaper and of course the chicken are fresher than the frozen one. 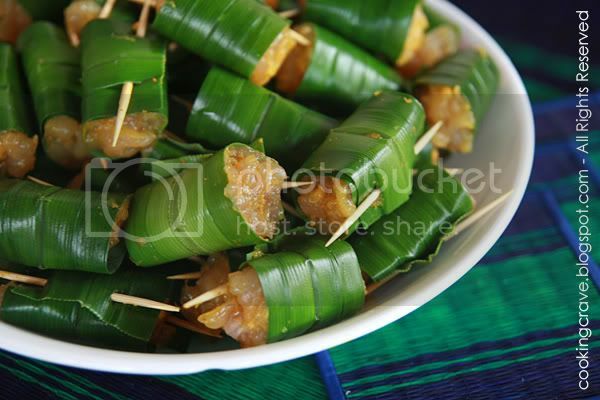 The recipe is very simple and I bet all of you can make this at home. 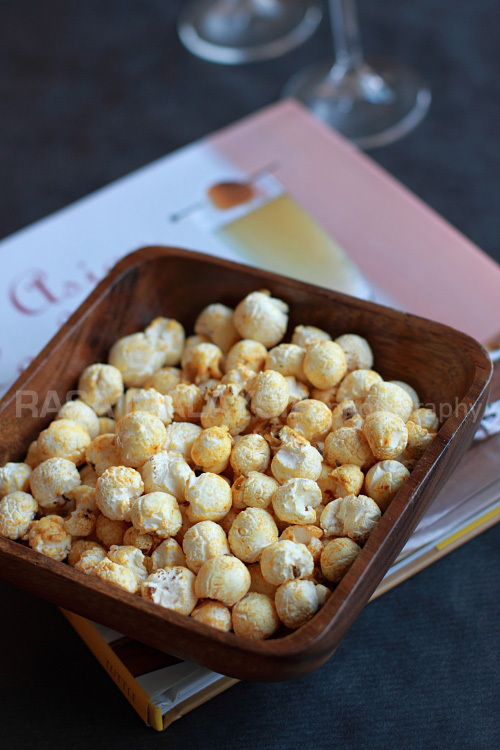 A good snack for teatime with a cup of freshly brewed coffee ~ yum!! I use chicken breast for this Pandan Chicken. Marinate it over-night with tumeric powder, minced shallots, pepper, sugar & some salt. Clean chicken breast and cut it into smaller pieces & coarsely mince it with meat tenderizer hammer or knife. 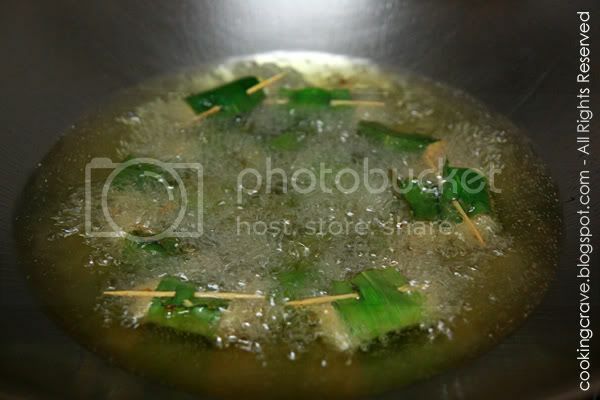 Cover the bowl with cling wrap and marinate it over-night in the fridge. Wash the pandan leave and dry it with clean cloth. Cut the leaves into 3 inch long each. 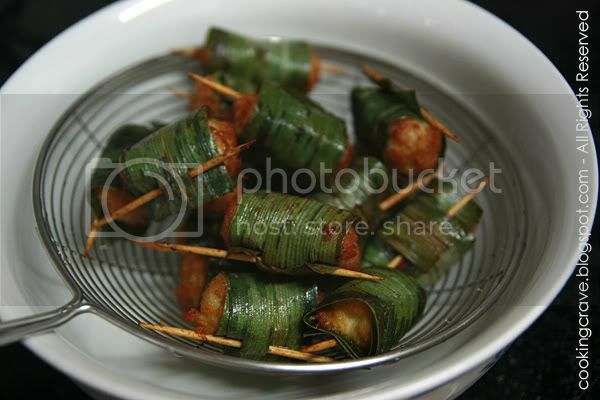 Take a piece or 2 marinated chicken breast and shape it into 1 inch oval shape before wrap it up with the pandan leaves. 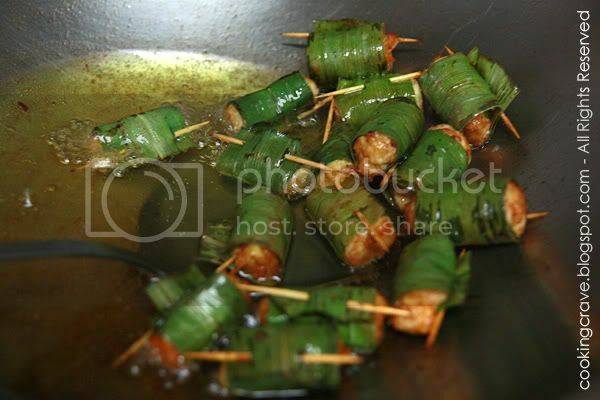 Put the chicken onto one of the pandan leaves end and roll it tightly to the other end. Hold tight and secure the end of the leaves with a toothpick. Heat enough oil for frying the chicken. The oil must enough to cover the chicken we want to fry. 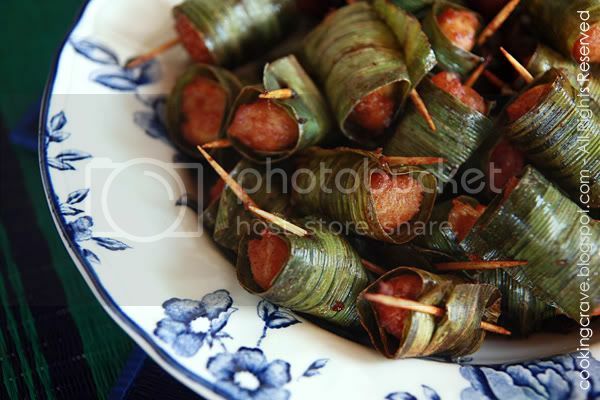 Wait till the oil is really hot before add in the pandan chicken one by one. Lower down the fire to medium heat and continue frying the chicken until it's golden in color. Watch out the heat all the time and don't over cook the chicken. **The chicken will turn dry and hard if we over-fried it. Serve while it's still warm with your favourite drink. Fry the chicken till it's GOLDEN in color..
Set aside and let the excessive oil all drip off before we serve it. 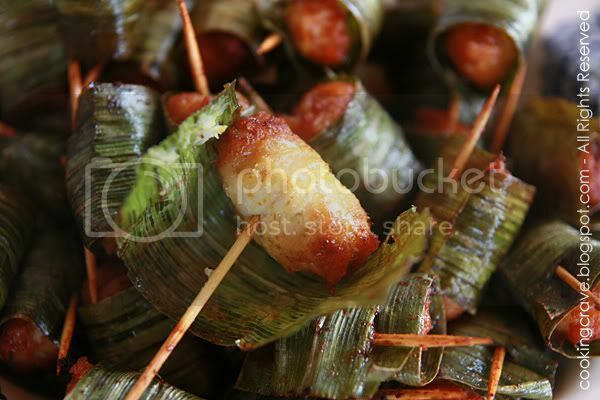 I hope you like the PANDAN CHICKEN I shared with all of you today!! Have a nice day! !